(L-R) SP Setia’s Koe, Deputy President and COO Datuk Wong Tuck Wai and Khor at the signing ceremony with AmBank Group CEO Dato’ Sulaiman Mohd Tahir, Executive VP of Corporate Banking Sim How Chuah and acting Head of Retail Bank Anthony Chin Min Khong. Property big-gun SP Setia Bhd has assured the public that the company has every intention of preserving the natural beauty surrounding the famed Templer Park forest reserve when it embarks on its adjacent 194-acre Setia Eco Templer township project, which is due for launch early next month. Taking shape on the periphery of the protected green lung on the northern fringe of Kuala Lumpur city, SP Setia’s executive vice president Datuk Koe Peng Kang said Setia Eco Templer will embrace and pay tribute to the surrounding natural greenery, and pointed to the company’s track record with projects such as Setia Eco Park in Shah Alam which achieved a similar goal. “With Setia Eco Templer, the natural surroundings is obviously a major draw, therefore it is only in the best interest of the township and its future dwellers that we embrace, preserve and even enhance it wherever we can,” said Koe. 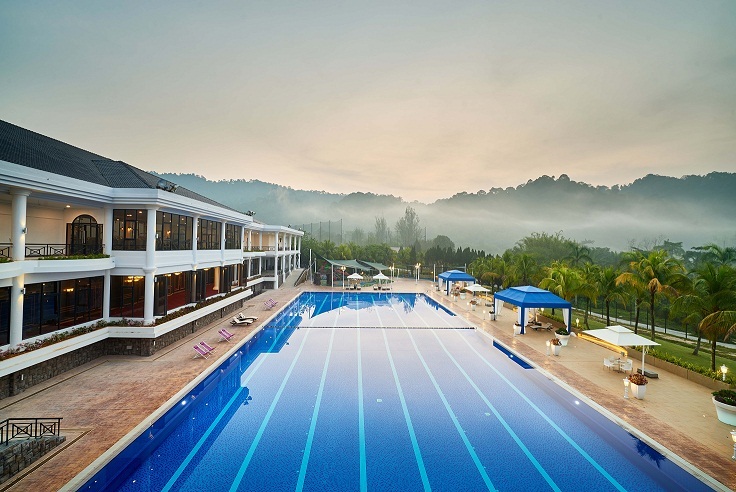 Eco Setia Templer will preserve much of the existing natural landscape to enhance the lifestyle appeal. A major advantage of the project, he said, was the fact that a large portion of the greenery in the vicinity is protected and that this was among the few pieces of development land available in the area. Other developments in the area are very limited to “pocket parcels” and will not have major impact on the landscape. Setia Eco Templer will be the largest development in the vicinity, but it intends to adopt much of the existing natural landscape, using it to complement and enhance the lifestyle appeal on offer. SP Setia president and chief executive officer Datuk Khor Chap Jen added that the project also stands out because of its inclusive, rather than exclusive outlook, where residential units appeal to a range of home seekers. Not limited to the elite – as many green sanctuaries have recently become – Setia Eco Templer will offer terraces, semi-dees and bungalows as well as apartments targeted at affordable home seekers under the Rumah SelangorKu programme. While the indicative price range for landed homes is around the RM890,000 mark for terraces and up to RM3 million for bungalows, the affordable apartments will be indicatively priced from as low as RM42,000 to RM220,000. According to the company, the affordable units will likely be released in the second phase of the project later this year and include units with built-ups of between 700sq ft and 1,000sq ft. Earlier this week, SP Setia signed an agreement with AmBank for the provision of RM315 million in banking facilities for the development of the township. Simultaneously, AmBank also granted a working capital loan of RM200 million to SP Setia. 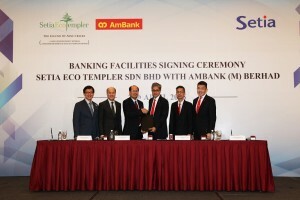 “We are truly excited with Setia Eco Templer and glad that AmBank is a part of this by offering banking facilities and working capital for the project… this shows the trust the bank has [in] SP Setia’s capabilities and good credit rating,” said Khor. The entire township, with a gross development value of RM2 billion, is expected to take seven years to complete.